On Tuesday 21 November 2017, fifty-five members must be elected to the municipal city council (Borgerrepræsentationen) in the Copenhagen municipality. On the same day, 41 members of the regional council in Regionen Hovedstaden will also be elected. On election day, the polling stations are open for voting in both elections from 08:00-20:00. You can see from your polling card where you need to go to vote. You will receive your polling card by post just before the election. People who are not nationals of Denmark, another EU member state, Iceland or Norway may only vote if they have resided in the kingdom for a period of three years prior to the election. If you are eligible to vote in the election to local and regional councils, you are normally also eligible to stand for election to such councils. According to the new rules, foreigners whose residence permit has expired, who are on tolerated stay, have been expelled from Denmark or who have been placed straight into one of the Danish prison and probation service’s institutions, cannot vote. In this election, people who have been deprived of their legal capacity under a guardianship order are entitled to vote. If you are in hospital, live in an old peoples’ home, sheltered accommodation, crisis centre etc, or are incarcerated in one of the probation service’s institutions or prisons, you can cast your vote at that institution on a yet to be determined date before polling day. Polling stations have been arranged to allow the best possible access, not least for handicapped people or those with reduced mobility. In polling stations where there is free access, handicap polling booths have been erected. All the booths will be equipped with magnifying glasses and additional lighting for those with difficulty seeing. At polling stations where it is impossible to enter with a wheel chair or similar, a voting room will be set up in the vestibule or in a pavilion just outside the entrance. Voters unable to enter the polling station will also be given the option of voting just outside, ie in a parked car. If you have a handicap or reduced mobility you can change polling station within your municipality of residence. You can apply to change your polling station from Tuesday 24 October 2017. The final cut-off date for applying is Monday November 13 at 12:00. You can pick up the forms in your citizen service centre or have them sent by contacting Folkeregister at phone: 3366 3366. How does the city council in Copenhagen work? Every four years Denmark holds municipal and regional elections. On November 21 residents of Denmark – both natives and internationals – have the chance to vote for the people who will govern them locally and spend a sizeable proportion of their tax money. 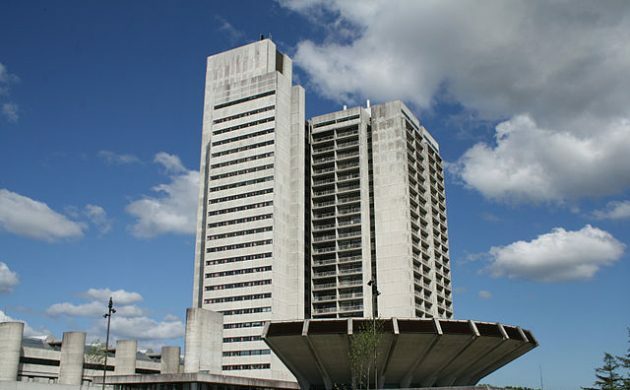 The local government in Copenhagen is called Københavns Borgerrepræsentation – the city council. The city council of Copenhagen, comprised of 55 members from both ends of the political spectrum, is the city’s supreme political authority. While the council has seven deputy mayors, the mayor is its chairman. The six deputy mayors are the heads of different political committees. The 55 members of the city council are elected for a four-year term and have other full-time jobs whilst the mayor and deputy mayors of the various departments are the only full-time politicians. Copenhagen’s current mayor is Frank Jensen from Socialdemokratiet, who was elected in 2010. Jensen is the chairman of the city council and sets the agenda for the meetings. Since the position was created in 1938, Copenhagen has only had a social democrat mayor. Jensen is head of the finance committee, the most important of the seven committees. He, along with six members of the city council and the six deputy mayors, decides the city’s budget and overall co-ordination of the city’s affairs. Morten Kabell (Enhedslisten) is the mayor of the technical and environmental committee. The committee’s responsibilities include roads, transportation, recreational areas, drinking water, waste, waste water management and more. This committee is important in a city that puts such a great emphasis on being environmentally friendly. For example, Copenhagen has pledged to go CO2-neutral by 2025. The culture and leisure committee is headed by Carl Christian Ebbesen (Danske Folkeparti). Culture is an important aspect in Copenhagen, which has been voted the world’s best city to live and work in by an international magazine three times. This is where the Culture and Leisure committee comes in. The committee is responsible for libraries, cultural centres, museums, national archives and over 100 sports facilities, basically anything involving culture and leisure. Denmark and Nordic countries in general are well known for their childcare systems, making the child and youth committee one of the most important committees. The committee is responsible for the day care institutions, special education institutions, primary and lower secondary schools, after-school centres and clubs within Copenhagen. Pia Allerslev from Venstre is the current mayor of the committee. With more than 17,000 employees the child and youth committee is the largest department in the city of Copenhagen. As the mayor of the health and care committee, Ninna Thomsen (Socialistisk Folkeparti), focuses on the two largest issues to her, public health and care for the elderly. The health and care committee’s responsibility is to ensure that Copenhagen residents have correct and proper healthcare so they can live their own lifestyle. Some issues the committee focuses on include disease prevention and health promotion, home nursing, child dental treatment, school health services and much more. As the mayor of the social services committee, Jesper Christensen’s (Socialdemokratiet) role is to provide a platform where the social services committee can speak out on issues affecting the social welfare of Copenhagen. The committee provides a framework for policy development and is responsible for planning and providing a wide variety of social services. Anna Mee Allerslev (Radikale), the current incumbent as mayor of the employment and integration committee, is responsible for increasing employment and promoting inclusion in Copenhagen. Although the number is falling, around 76 percent of Copenhageners are Danes. The employment and integration committee has an important job of helping to acclimate foreigners to the city by promoting respect for diversity and creating equal opportunities for all. Regions and councils – what’s the difference? In Denmark, there are four levels of local government that Danes and Danish residents can vote for: EU, national, regional and councils. The elections on November 27 are to choose representatives for Denmark’s five regions and 98 councils, the two levels of government responsible for providing the majority of the welfare services. Each year, the government negotiates a budget with the representatives of the local and regional councils – Kommunernes Landsforening and Danske Regiononer respectively. This sets the spending limits for the various services they provide. In 2017, the municipalities administered a total budget of 340 billion kroner. Of that, 241.9 billion went on schools and care for the elderly, 69.5 billion on benefits and pensions for people who have to retire early and 2.5 billion on utilities and running costs. So the decisions made by these elected representatives can have an enormous socio-economic impact on people’s lives. Besides Copenhagen City Council, the greater Copenhagen area includes 12 other councils, including Gentofte, Frederiksberg and Tårnby. The majority of Danish councils serve around 20-100,000 residents, though the largest, Copenhagen City Council, serves 606,057 as of April 2017. Councils are Denmark’s smallest political unit and must comprise between 25-31 elected members. Copenhagen Council is the only exception, with 55 members. Half of all public spending is made by councils, which are responsibility for a vast majority of public services including schools, care for the elderly, sports, cultural facilities, childcare, adult education and integration programs. While councils are obliged to provide certain services for the money they receive from the state, they have enough decentralised power to choose which areas to invest particularly in. This is dictated by the political priorities of the particular council. Denmark’s five regions were established in 2007 and are primarily responsible for providing healthcare, but they also have a role in areas such as specialised welfare, regional traffic, soil pollution, tourism and initiatives to provide growth in both rural and urban areas. 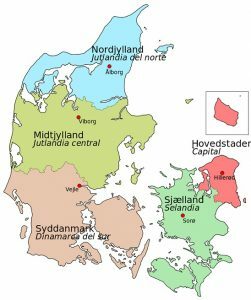 If you live in Copenhagen, you are covered by the Capital Region Council (Region Hovedstaden), which is headquartered in Hillerød and covers north Zealand and the island of Bornholm. Each region is run by 41 elected representatives whose main focus is improving the quality of healthcare by, for example, getting cancer patients treated faster, reducing mortality rates in hospitals and extending psychiatric care. Ninety percent of a region’s budget is normally put aside for healthcare. Due to variations in geography and population, regional councils will tackle their various tasks differently. Different regional councils will also choose to structure their healthcare systems to adapt to local demands and constraints. The main political jobs carried out by the regional councils are finalising an annual budget, agreeing on an overall health plan and planning the services that hospitals and general practitioners offer. More EU citizens eligible to vote in upcoming local elections – but will they?